The billionaire that waged a bankruptcy bidding war and scooped up Fisker Automotive has pledged to beat Elon Musk at his own game: making electric vehicles and selling them around the world. Billionaire fight! Lu Guanqiu is the chairman and founder of Chinese industrial giant Wanxiang Group Corp. It's the largest auto parts supplier in China and it's the same company that snagged Fisker's battery supplier, A123 Systems, at a bankruptcy auction in 2012. Lu has about $3.1 billion to Musk's $9.2B, and he's been trying to get into the electric vehicle game since 1999. And now he's amassing the tools and getting out his war chest. "I'll put every cent that Wanxiang earns into making electric vehicles," Lu told Bloomberg Businessweek. "I'll burn as much cash as it takes to succeed, or until Wanxiang goes bust." Based on his history, don't bet against him. He started a flour mill at the same age you and I were graduating out of Superman PJs. Then he set up a bicycle repair shop, which turned into a tractor repair shop, which – skipping a few steps – turned into China's largest auto research and parts manufacturer. Lu quit a three-pack-a-day smoking habit to win a bet with a local steel-mill boss in order to secure supplies for his factory, he said, wincing at the memory. He hasn't smoked since, he said. "I said I would do it, and I did." But EVs are almost a consolation prize for Lu. He's been wanting to make cars since the '80s, when he came back from Detroit inspired by what he saw at a GM plant. After several failed attempts at producing legitimate consumer vehicles, he conceded that Wanxiang didn't have what it took to compete against established automakers selling conventionally powered vehicles. He admits that the "gulf in technology between foreign and Chinese automakers has widened," but the rise of EVs is where Wanxiang could finally get a foot-hold. Wanxiang has already produced 700 electric buses, which are undergoing trials in Hangzhou, Qingdao, and Shanghai. The company's purchase of A123 and then Fisker are the kind of acquisitions it needs to make, which according to Lu, is the equivalent of "buying brains." But it's not so much about people as it is about patents. 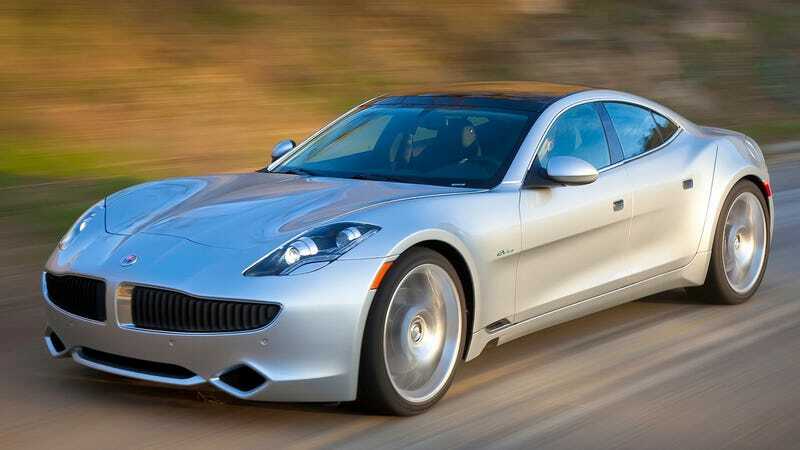 There are over 30 patents, both current and pending, that Wanxiang booked when it paid $149.2 million for Fisker. Add that to the patents it won with the $256.6 million purchase of A123, and Lu has the basic ingredients to get in the EV biz. But he needs to do it better than Fisker's half-assed attempt. Unfortunately, he's committed to putting the Karma back into production, which was a flawed vehicle from the moment it was a glint in Henrik Fisker's eye. But that's just to get the ball rolling. Lu wants to build other range-extending hybrids and, just as ambitiously, build them in the U.S. Naturally, neither he or Wanxiang is offering a timeline for any of this, but he's committed both himself and his progeny to the task. "The road is still very long," Lu says. "We want to concentrate for now on manufacturing in the U.S. If I don't succeed, my son will continue with it. If he doesn't make it, my grandson will."